London has SoHo; New Orleans, the French Quarter; and Cape Town has Cape Town 50 Long Street! 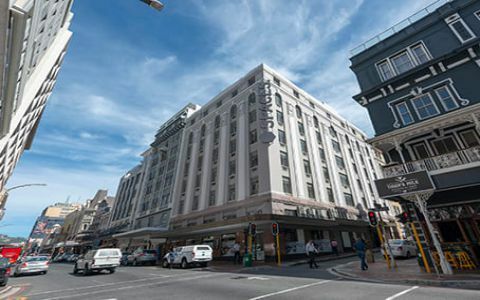 Our 50 long Street is situated amongst coffee bars, exotic restaurants, legendary bookshops, African craft markets and backpackers' lodges. You’ll see a fun mix of travellers, breakfasting locals, shoppers and morning joggers all absorbing the vibe of this brilliant social centre. If you love old architecture, Long Street will keep you busy for days with its vibey atmosphere this is an office with modern style and charm. Its striking exterior offers views to the bustling streetscape below. Its artful contemporary style reflects the creative culture of 50 Long Street. Open walkable spaces and casual seating areas cultivate exciting opportunities to collaborate with like-minded professionals and re-energise your mind. Within a stone’s throw you’ll find a unique mix of restaurants, bars and cafés and you can watch the world go by up and down Long Street. Century City has emerged as one of the leading developing hubs for business, lifestyle and entertainment purposes in Cape Town.